I like the term 'goal' more than I like 'resolution'. 1. See one new movie each month. I don't know if this will actually happen, given that I don't generally seek out movie theaters. But I figure I can also watch ones on Netflix that I've never seen. The idea is that I never watch movies anymore and always feel behind in a pop culture sense because of it. I would like to see Oscar and Golden Globe nominees because I do like award shows. I figure winter will be an easy time to start strong because it seems easier to sit on the couch and watch movies in the winter. We've also found a close, small, very nice theater in Laramie. I'm excited to try out those reclining leather seats. We can even walk there in the summer. 2. 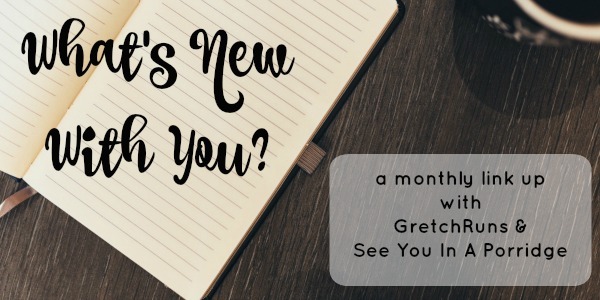 Write one in-depth book review each month. I like writing about books in the sense that I want to tell you what I thought of the book and why you should read it. This will encourage me to find books worth reading AND to tell people why they should read it. It would be in addition to the usual SUYB posts on the 2nd Tuesday of each month. I don't know where in the month I'll put it though. 3. Really dig in to writing about teaching. I need to do this. I have so many word documents and google docs and notes and blog posts about teaching; they need to be compiled and finalized into something I can self-publish or at least share with others. The issue is that after teaching all day and grading papers/planning at home, I rarely feel like writing about teaching. This might have to happen once school is out. But it will definitely happen. I heard a quote on a podcast that said "It's not a question of IF you will write the book, it's a question of WHEN you will write the book" (paraphrased and I don't remember the podcast). That is a true statement in this case. I had to look for a few recipes to see what I'd be getting myself into with this, but it seems SO simple when they do it on The Great British Bake-Off. I need to try it. This is probably the recipe I'll try. So, what about you? 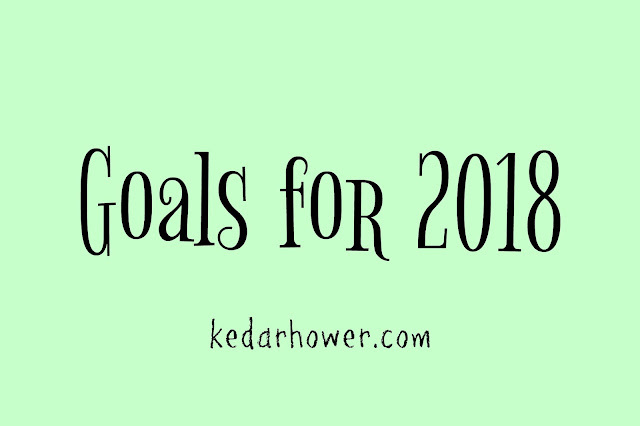 Lofty goals for the year? Or are you coming up with something manageable and attainable? Ive always wanted to write about teaching. Ive been doing it for so long and now that I am venturing into teaching High School age children I think it could be a great outlet. I look forward to reading it when you start! We have a movie goal too but actually at the theaters. Can't beat free popcorn and $5 Tuesdays! I would love to also make macarons, they just are so intimidating! I'd love to read what you end up writing about teaching! We try to do Wednesday night movie theater outings whenever there's a new one we want to see. The theaters aren't great, but Wednesday is the discount day and making fun of all the commercials that come before the movie is one of my favorite pastimes.